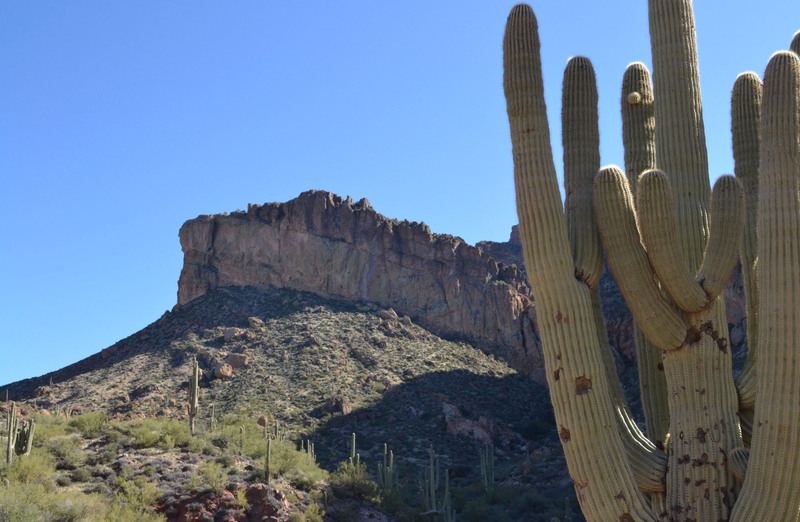 Through online research we discovered a scenic drive called the Apache Trail near Phoenix and during our recent vacation in Arizona we decided to check it out. 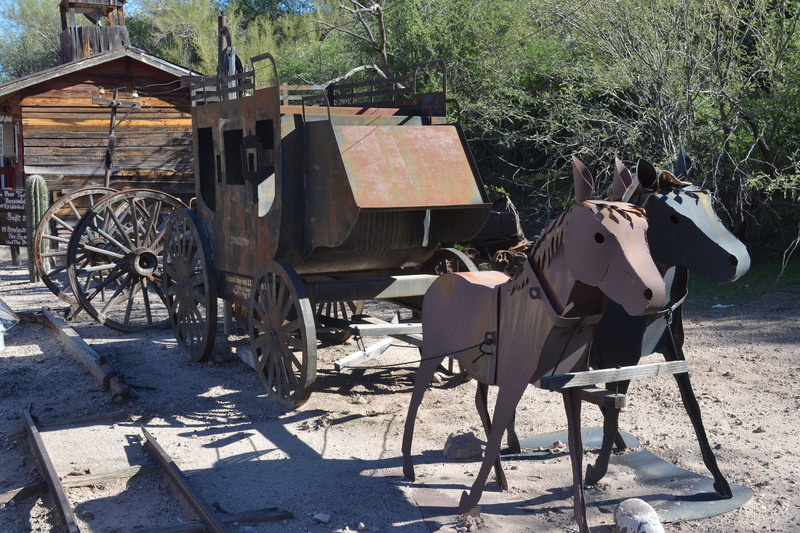 The Apache Trail was a stagecoach trail that ran through the Superstition Mountains. It was named after the Apache Indians who originally used this trail to move through the mountains. The current Apache Trail links Apache Junction at the edge of Phoenix with Theodore Roosevelt Lake through the Superstition Mountains and the Tonto National Forest. 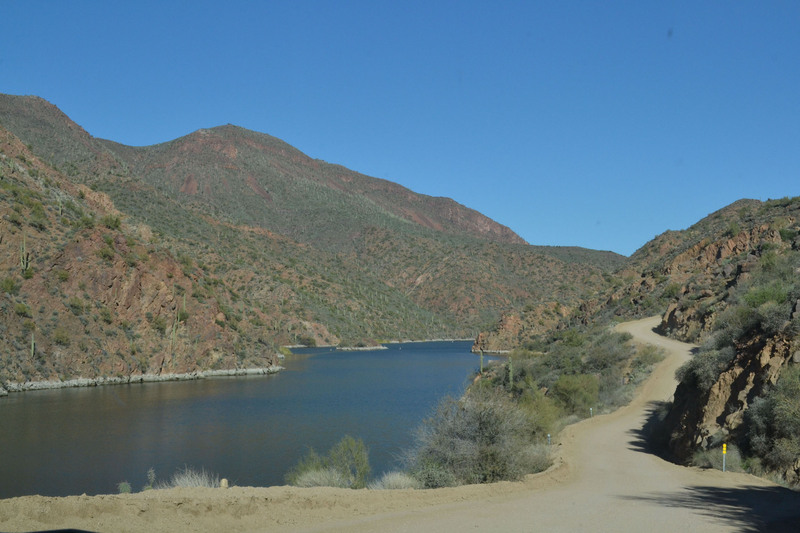 The trail certainly was a scenic drive providing breathtaking views as we wound our way through 40 miles of rugged desert mountains on a steep narrow road. We passed clear blue reservoir lakes such as Canyon Lake and Apache Lake. 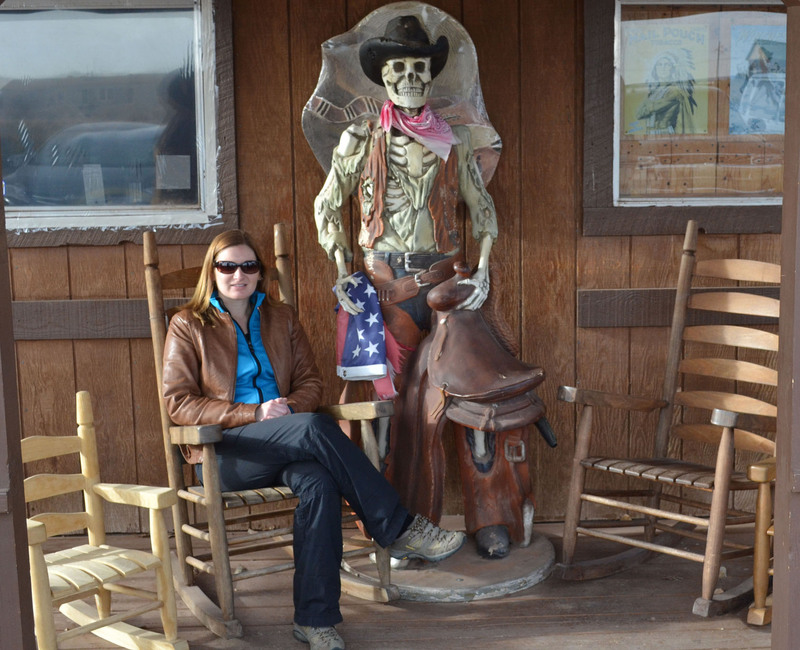 The trail is paved until you reach the historic town of Tortilla Flat. 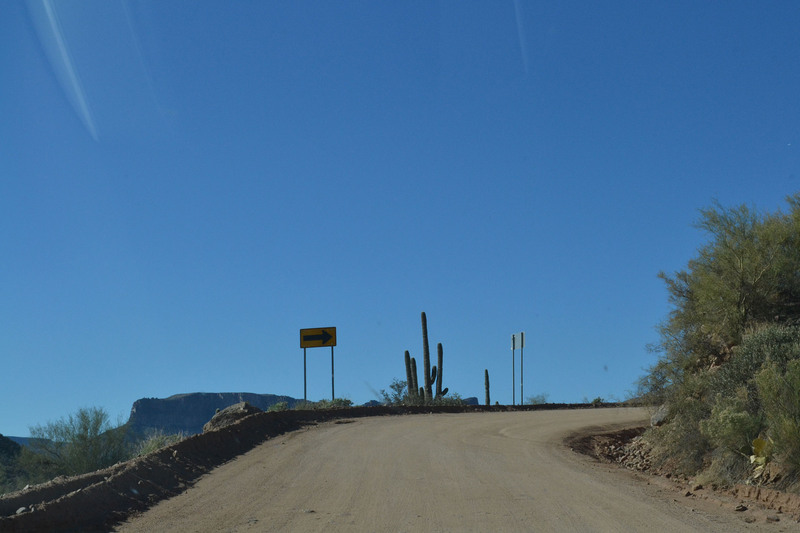 From there until Roosevelt Dam, it’s unpaved and is very rough and covered in washboards. There are very few safety barriers in place so drivers need to exercise caution. The trail is not recommended for larger vehicles. While the road was bumpy, it was definitely worth the trip for the scenic views. I encourage travellers to get off the beaten path and venture down this trail. Narrow, winding Apache Trail running along the river. Twists and turns on the steep and narrow Apache Trail. There were cacti everywhere along Apache Trail. One of the historic buildings in the town of Tortilla Flat. 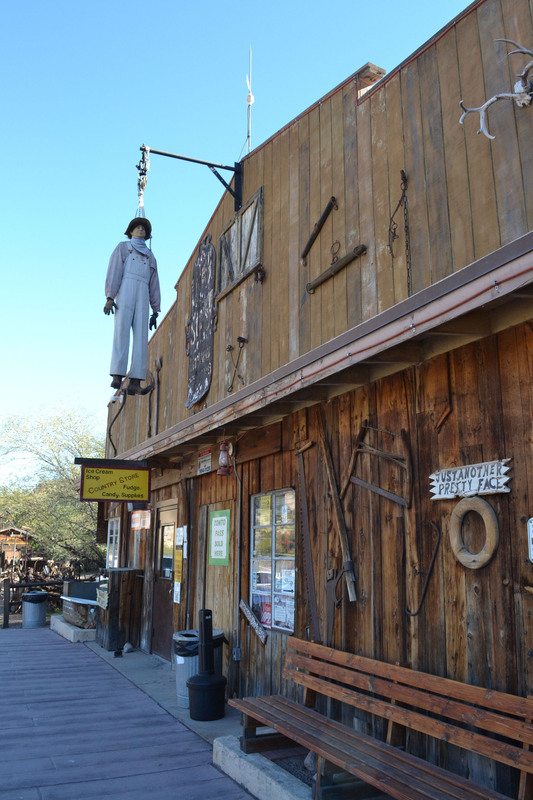 The town now consists of a restaurant and gift shop for tourists. Yes, you’re seeing right. 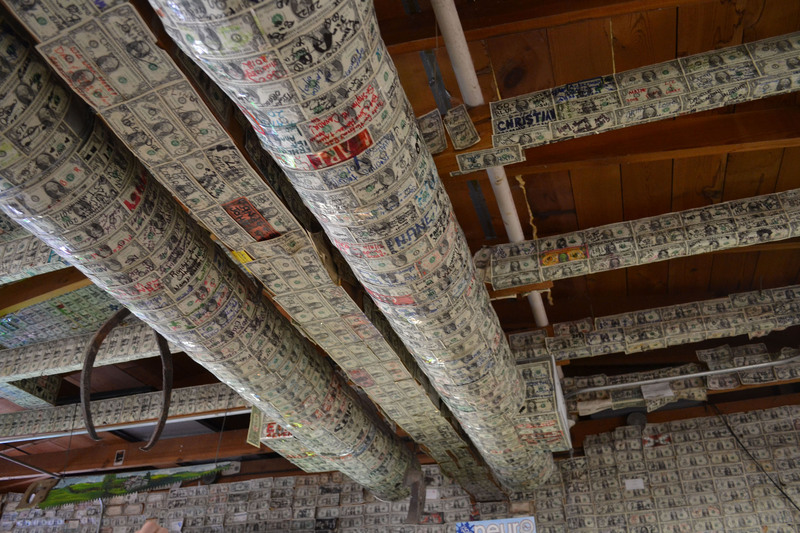 This is money covering the walls and ceiling of both the gift shop and restaurant in Tortilla Flat. Tourists write messages on dollar bills. Think of it as a different kind of Guest Book. A stagecoach and horses made out of metal in Tortilla Flat. 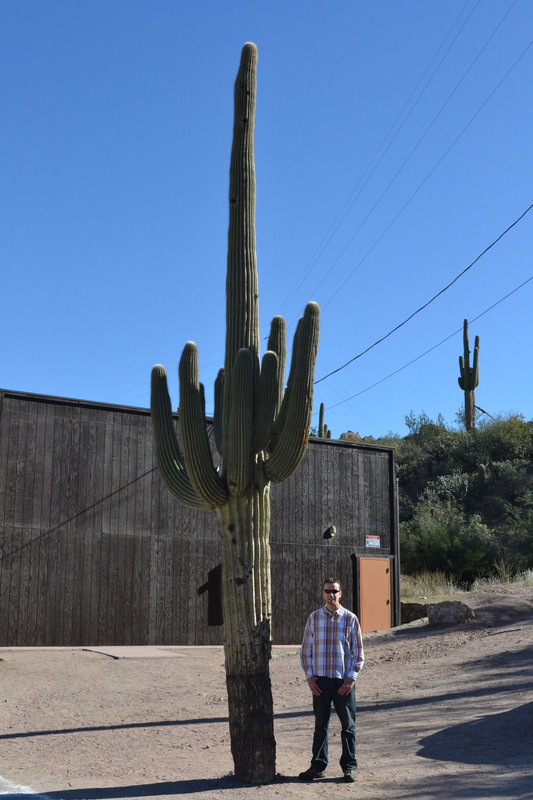 Looking very small next to this huge cactus. Just hanging out with this cowboy! This was actually in a different town not along Apache Trail but I thought it was a cool photo so I threw it in. yup, we were there a couple of winters ago. i have a picture of makenna with that exact same cactus. lol. looks like a fantastic holiday! better than freezing cold mb! happy new year! That must be a photogenic cactus! I hope you had a good Christmas in Manitoba despite the cold. Happy New Year! http://twotrailsoneroad.wordpress.com/ and read about my experience on The Apache Trail. Thanks for reading, Nancy. I read your blog post on the trail. Nice photos! Sounds like you enjoyed it.